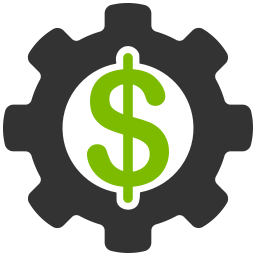 Integrating eCommerce with Sage Software: It Makes Cents! A Sage ERP eCommerce integration helps you account for all of your eCommerce transactions while adding value to your business and multiplying efficiency. Sage’s line of business solutions include ERP, accounting, bookkeeping, and business management software. The software can help businesses manage their finances and budget for their future. What began as a simple accounting software to help small businesses has grown into a multinational enterprise resource planning (ERP) software line of business solutions. Sage’s line of business solutions are meant to help companies of all sizes manage their money, now and in the future. Each of these software include tools to help business’s keep track of the income and expenses, manage their inventory and prices, and keep records of their sales. Sage makes it easier for you to account, plan for, and manage your business. Use Clarity Connect - Clarity uses Clarity Connect, our integration platform, to seamlessly communicate with Sage's proprietary API, which uses OAuth 2.0 to ensure data security. Plan for the Future - Integration allows sales data to be transferred from your eCommerce platform to your Sage ERP software, making it easier for you to forecast future sales. When Clarity performs a Sage eCommerce integration, our team of experts uses our integration platform, Clarity Connect. Clarity Connect can used to integrate almost any CRM or ERP software, including Sage, with your eCommerce platform and other business systems. In the case of Sage 300, Sage uses .NET technology as the API, so it can natively connect to Clarity Connect and Clarity eCommerce. Clarity Connect also allows our developers to tailor the integration to fit our clients’ needs as well as add an additional layer of security to your integration. Clarity also uses SSL to ensure that sensitive information and data is kept secure while being transferred. When an integration is done right, data is easily and constantly shared between the two systems, allowing for information to be kept current and accurate. Integrating Sage with your eCommerce provides you and your customers with real time stock counts and availability and access to up to date customer transactions, as well as accurate sales records. Our team of experts have decades of combined experience developing business solutions for our eCommerce clients. Clarity’s eCommerce platform, Clarity eCommerce, is highly customizable and integrates well with almost any business software. Clarity has performed numerous successful Sage and eCommerce platform integrations, helping our clients make their business more efficient. Clarity prides itself in offering eCommerce solutions that are tailored to our clients business needs. To learn more about how Clarity can help you integrate your Sage software with your eCommerce platform, visit the Sage eCommerce Integration Resource Center.